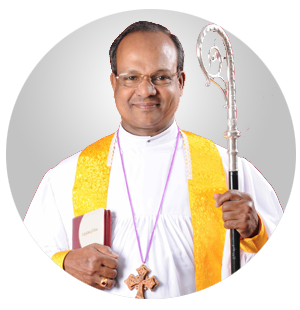 Rt.Rev.A.Dharmaraj Rasalam (Bishop CSI,South Kerala Diocese) The Indian Upanishadic Philosophical tradition attributes five dharmas to the Sath Guru - the true teacher. That include Gnana raksha( protection of knowledge), Dhukhakshaya ( diminishing of sorrows ), more.. 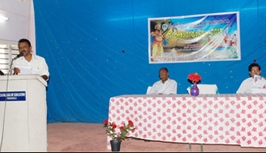 Manager Prof. Dr. S Sathiamoorthy The role of teachers is very pivotal and critical in the educational scenario of India. more.. Principal Dr. Sajith.C.Raj The ability to learn and to be educated is one of the most precious gifts of more.. Vision: To be a centre of excellence to impart value based and value oriented education to the student teachers and to empower them into full-fledged and model individual to lead and guide the society. Mission: To impart the vision into action by giving internationally acceptable quality education to the student teachers irrespective of caste,creed and the gender.